The International Monetary Fund (IMF) is one of the most powerful institutions in the world. It acts as the de facto central bank of the world. The IMF makes loans to countries in distress, raises funds from its member nations and issues its own world money called the special drawing right (SDR). It also acts as the regulatory and policy arm of the Group of Twenty, or G-20. The G-20 is a multilateral club that includes both the richest nations in the world (the U.S., Japan, the U.K., Germany, etc.) and the most populous emerging economies (China, India, Brazil) among others. The G-20 has no permanent staff or bureaucracy, so it outsources policy tasks to the IMF. These combined roles as the world’s central bank and the G-20’s eyes and ears make the IMF the center of gravity for policy in the international monetary system. Yet for such a powerful institution, the IMF is incredibly opaque and unaccountable. My favorite way to describe the IMF is “transparently nontransparent.” What I mean by that is the IMF is transparent in terms of making resources available for interested parties to learn about what it is doing. The IMF website is loaded with links to position papers, financial statements and facts and figures about its missions and personnel. The IMF publishes a value for the SDR every business day. Even the IMF’s plan to replace the dollar with SDRs as the global reserve currency is available. The problem is that all of this material is written in highly technical jargon that requires specialized training to interpret. That’s where the “nontransparent” part comes in. Reading the IMF website is like picking up an advanced textbook on quantum physics. You may be able to read the words in a row, but unless you have specialized training, it might not make much sense. Where is such specialized training available, and who has it? There are a number of fine schools teaching international economics, but the leading center of learning for working at the IMF is undoubtedly the School of Advanced International Studies, SAIS, part of the Johns Hopkins University located in Washington, D.C.
SAIS offers graduate programs in international economics as well as American foreign policy, area studies, languages and other courses in diplomacy, intelligence and strategy. It has many distinguished graduates, including former secretary of state Madeleine Albright and CNN anchor Wolf Blitzer. In addition to its graduates, SAIS has an outstanding faculty, including many visiting scholars drawn from the Washington, D.C., policy community. Former secretary of the Treasury Hank Paulson was in residence at SAIS after leaving the Bush administration. For purposes of understanding the international monetary system today, the two most important SAIS connections are former secretary of the Treasury Timothy Geithner and former head of the IMF John Lipsky. Geithner is a SAIS graduate, and Lipsky is a visiting scholar at SAIS today. Geithner (who worked at the IMF before joining the Treasury) presided over the aftermath of the Panic of 2008 and was one of the architects of the IMF/G-20 process that started the currency wars in 2010. Lipsky ran the IMF in the dangerous period after the abrupt resignation of IMF head Dominique Strauss-Kahn amidst a sexual-assault scandal in May 2011. Lipsky performed a crucial role in organizing the first bailout of Greece after the sovereign debt crisis erupted in 2010. When it comes to global bailouts and their aftermath, the imprint of SAIS through players such as Paulson, Geithner and Lipsky is everywhere. Former U.S. Treasury secretary Timothy Geithner (left) is a graduate of the School of Advanced International Studies (SAIS) in Washington, D.C. Former head of the International Monetary Fund John Lipsky (right) is currently a distinguished visiting scholar at SAIS. Fortunately, as a Daily Reckoning reader, you have your own SAIS connection. 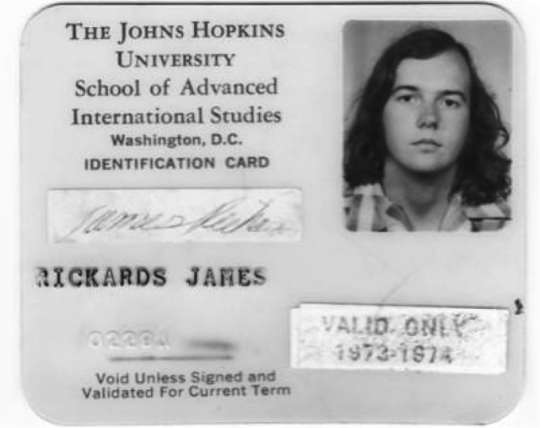 I graduated from SAIS in 1974, just after Wolf Blitzer and a decade ahead of Tim Geithner. For all intents and purposes, SAIS is the intellectual boot camp for the IMF. Many SAIS graduates go directly into the IMF. Other leading career choices are banking, the foreign service and the national security community. My class marked a turning point. Many observers believe the gold standard of Bretton Woods ended on Aug. 15, 1971, when President Nixon gave his surprise speech shutting the gold window. That is not quite correct. Nixon ordered the conversion of dollars into gold to be “temporarily” suspended. It was expected that the world might be able to return to some kind of gold standard once new parities of paper money to gold were established. Of course, that never happened. In 1975, the IMF declared that gold was dead as a form of money. Yet from 1971-74, the world of international finance still considered gold to be money. That’s when I received my technical graduate training. Mine was the last class to study gold as a form of money in international finance. Your correspondent as a 23-year-old graduate student in international economics at the School of Advanced International Studies, class of 1974. This was the last class to study gold as a monetary asset in international reserve positions. Today, for the first time in decades, gold is once again being discussed as an international reserve asset. This is because Russia, China, Iran and other nations have been acquiring thousands of tons of gold to add to their reserves. Equally important, other central banks that already have gold, such as Germany, France, Italy and the U.S., have completely stopped selling. The scramble for gold is back after decades of official dumping by the central banks. Another topic that is in the news is the role of the SDR. 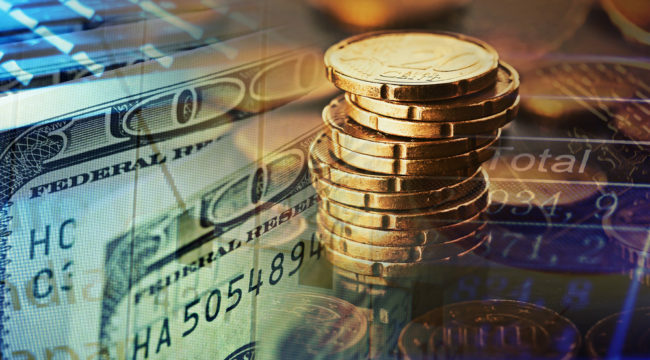 Financial blogs and newsletters are filled with dire prognostications about how the SDR is poised to replace the dollar as the global reserve currency. Even more digital ink has been spilled on the topic of including the Chinese yuan in the so-called “basket” of currencies that make up the SDR. The technical nature of SDRs has led to ill-informed speculation, hysteria and dire forecasts that have no basis in reality. This is not surprising. Most of the people who are expert on SDRs actually work at the IMF or finance ministries of IMF member nations. They have no interest in commenting publicly about what is really going on. Most of those who are commenting lack the expertise to know what they are talking about. This is why the blogs are filled with misinformation and hyperbole that only serves to alarm and confuse investors. There are almost no sources readers can turn to for expert opinion willing to discuss these matters publicly. Fortunately, at Rickards’ Strategic Intelligence, we specialize in these topics and report on them in a way that’s accessible. We provide the most timely and accurate information on the IMF and SDRs. SDRs are the coming reserve currency of the world. Massive issuance of SDRs in a future liquidity panic will be highly inflationary. These outcomes have enormous implications for investors with assets in U.S. dollars. Yet the process will be gradual and proceed in ways that markets barely notice, at least at first. Commentators who “cry wolf” about SDRs are doing a disservice to investors because markets may be complacent by the time the wolf actually arrives.